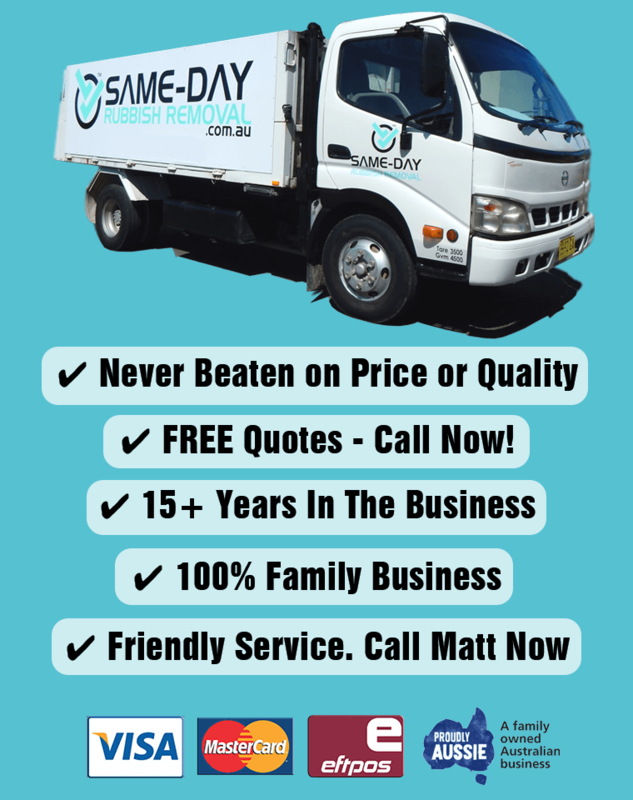 Looking for Low-Cost Waste Removal in Sydney? We Offer The Cheapest Prices & Best Service. Call Now! You might have found this page looking for a rubbish removal cost calculator – you won’t find one here because junk disposal pricing is a complex thing and is dependent on a number of factors, but you’ve definitely come to the right place! Long story short, the fastest and easiest way to get an accurate waste removal quote is simply to pick up the phone and call us. It will only take a minute, and our experienced team will be happy to provide you with an estimate over the phone. There are many factors involved when it comes to calculating how much it will cost to remove your waste, so unfortunately it’s not as simple as a price calculator. Cost factors may include the total volume, weight of items, type of waste, your location, nearby recycling facilities etc. 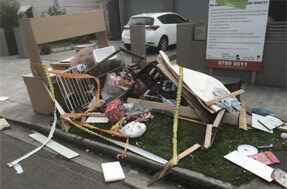 What we can confidently say is that we offer the best value and lowest price junk removal in Sydney. Give us a call now and speak with one of our friendly team members who will be happy to provide you with a very affordable quote. We look forward to hearing from you. As outlined above, calculating the cost of waste removal for your Sydny property isn’t always so simple to do yourself. 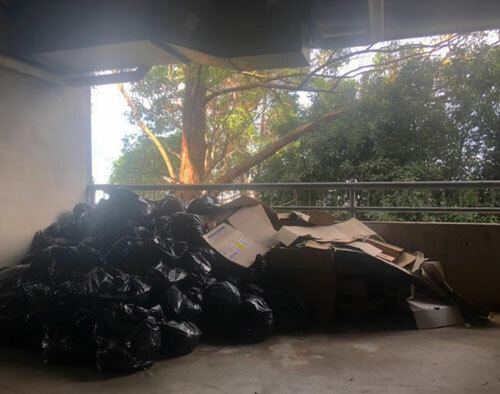 Below are a few things to think about when trying to work out what the cheapest option is for you – you’ll see why Same-Day Rubbish Removal is your best option. If you head down to your nearest recycling facility, you’ll find it’s not as simple as throwing your waste into a bottomless pit and leaving, there are many costs! You will be charged on the weight of all your items if they fit into certain categories or for some more specific items there will be a cost for each item. Same-Day Rubbish Removal is able to take everything away for you so you don’t have to worry about sorting it all out yourself. The most common types of junk that we take away from homes come from general household garbage and garage/shed clean outs. Items often include old unwanted white goods like washing machines, fridges, freezers, ovens, microwaves and all other appliances. Old mattresses, bed bases, couches, and other large pieces of furniture are common to see too. We don’t only deal with general household items like these, we’re also able to help with scraps created from renovations/building sites or even office strip outs. Junk from building sites often includes wood/metal scraps, bricks, tiles, concrete, plumbing, plaster board, etc. Office sites usually dispose of items such as bulk paper, cardboard, old computers, telephones, faxes, computers, printers, faxes, filing cabinets, etc. Because of the large range of items that we deal with, it would not be accurate to do a simple cost calculation based solely on a website cost calculator. If you let us know what it is you need removed and where you are located, we will be able to give you a free quote over the phone based on over a decade of experience in the waste recycling industry. There are a few options when it comes to removing large amounts of rubbish, each of these services will cost you. You can use a trailer and take it all to a tip yourself. This requires you to own or loan a trailer, do all the heavy lifting yourself, drive it to your nearest tip, pay the fees, unload, drive all the way back, clean and unhitch the trailer etc. Another option is to hire a skip bin. This involves two trips by the skip bin operator, in both dropping off and picking up, which increases costs, as well as the hire time of the skip. It does sound like an easier option having a skip in your front yard, but there’s still a decent amount of heavy lifting there for you. The third option is to hire Same-Day Rubbish Removal for the job – this is your best option. With this option you don’t have to do any heavy lifting, we’ll do all the hard work, and because we do it all in one go, we’re able to remove all the extra costs of the other waste removal service options. When you choose us, you get friendly service, and we do all the hard work for you, you just tell us what needs to go and we’ll take it. We will also clean up after ourselves, leaving your place completely clear of junk. Call us now for a free quote you won’t be able to refuse! Another cost factor to consider when disposing of rubbish is the impact it may have on the environment. 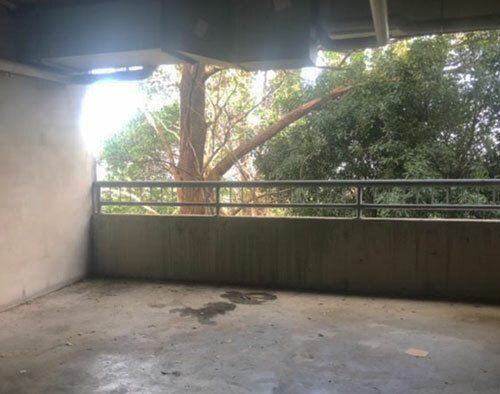 Regardless of whether you're located in Sydney's Northern Beaches, CBD, Eastern Suburbs or elsewhere, we all share the environment, and it's so important that we take care of it and recycle wherever posible. Australia has a growing waste problem – an average Australian produces around 2 tonnes of junk per year! Thankfully an increasing percentage of this is going into recycling. Leaving garbage in your own backyard or taking everything to a tip to be put into landfill may seem a cheaper option, but it is important to consider what is best for the environment too. The team at Same-Day Rubbish Removal care about the environment and will make sure that your rubbish is disposed of the right way. What are you waiting for? It doesn't matter if you're located in Parramatta, Sydney's Inner West suburbs, Eastern Suburbs, Sutherland Shire or beyond. 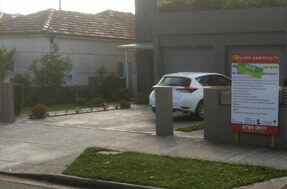 Pick up your phone and call us now for a free quote (0402 737 046). The team here at Same-Day Rubbish Removal look forward to helping you remove your waste promptly and at the best possible price.